What I’ve built thus far is pretty cool…A network of people motivated to buy their first or second piece of art. I immediately realized I had mispositioned the service. Shout out to the artists who figured out they could use the service as well. There will be lots more leanings as I iteratively experiment with this side of my business. But learning #1 is that Kollecto for Galleries should actually be Kollecto for Artists or Kollecto for Art Sellers. Which is fine with me. The friction in the art world is that so many artists are bad at marketing, but only a handful of them can get representation from a gallery who’ll do the marketing for them. Thus, the market of independent artists who’ll pay for a cool marketing solution is much bigger than the market of galleries who’ll do so. I love it when I’m wrong because I stumble into cool learnings like this. But how much will people pay? So here’s what I know so far. Does ‘sponsored art’ help or burden my Advisors? What percent of art submitted by art-sellers do we have to reject b/c Advisors think its not a good fit for the client? Can drive sales for artists & keep them engaged on a monthly basis? 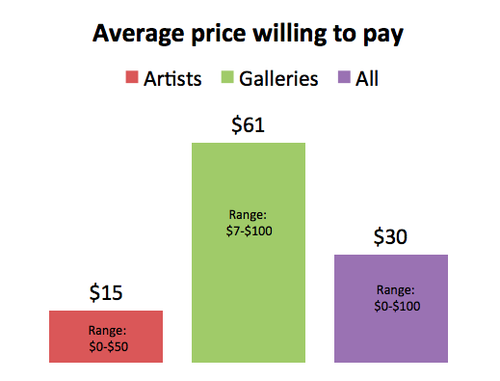 Should the tiered pricing model pivot on # of pieces art-sellers can submit? Can we do all this and maintain our 70% success rate of getting clients to buy art?